In order to get an overview of all available build settings, select "Builds Settings" from the Twixl Publisher menu. Build settings consist of a number of configuration options that determine the type of app that you will be creating, and which features will be enabled in the app. E.g. a build setting can contain the following info: which user interface languages are supported, the artwork (app icon, etc…), whether you are you using Google Analytics, code signing information (provisioning profiles), the app type (issue-based or article-based), etc. Once a build setting has been saved, creating an updated build of the app only requires a few mouse clicks. A build setting can also be exported so it can be used on another Mac (right-click the build setting name to see the options). Select the language support you want for your application - this will make sure that all language strings for the selected languages are included in the app - the language options refer to the error messages that the app will be displaying e.g. when a user is offline, etc. When this option is checked, you can prompt the user of the app to rate it on the store. 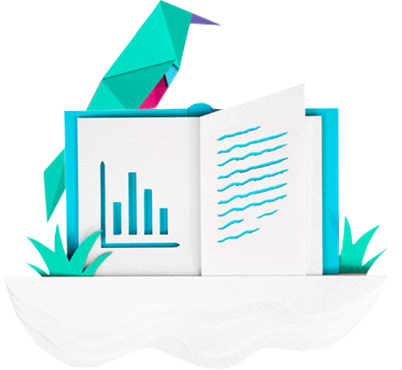 Twixl Publisher allows you to integrate analytics in your publications. One the one hand, there is built-in support for analytics in the Twixl Distribution Platform (for kiosk apps only). On the other hand, it is possible to integrate third party analytics: Google Analytics (both single and multi-issue apps) and Localytics (multi-issue apps only). You can either use the same key for iOS, Android and the Web Reader, or you can define separate keys for each. For Localytics, which allows you to send messages to a subset of your readers, you can enter the keys for iOS and Android.You need to create account with the provider of your choice first. To make your analytics more readable, the Twixl Publisher plug-in allows you to provide your own analytics name to certain interactive objects, such as for slide shows, audio, video, and web overlays. The app icon that will be displayed in the Home Screen of the device. Should be 1024x1024 pixels in size. You can select a different icon for iOS and Android. The tool bar is the top bar that is displayed when you single-tap in a publication, and from where you can return to the store overview. In this pane you can modify the navigation bar background colorand the color of the Text and Icons in the tool bar. The tool bar background color is also used for the progress bars that are displayed when downloading a publication. You can also modify the scroller background color for Android devices, for the Web Reader export and for the iPhone 4(s). This color will be used if you are using a publication with a different aspect ratio than your device. The content will be “letterboxed” and the empty area will display the background color you defined. In most cases you will want this to default to black, but you can choose to use a publication background color that fits best with your content. You can select whether to add the App Icon or the Issue Cover to the message. You can also add a (short) URL that links to the store if you wish. Readers will be able to share via e-mail, Twitter, Facebook, etc. Apple uses a process called "provisioning" for code signing your apps. For more details about provisioning, please refer to the article Creating a provisioning profile. Depending on the type of build you want to create, you may need to create and add different provisioning profiles. For an overview of the different types of iOS builds, please refer to this page. If you backup build settings, or copy a build setting to another location, the build setting will include the provisioning profile(s) you have added, but will not include the iOS Certificate and private key, as these are taken from the Keychain upon creating the build. If you want to backup the combination of Certificates, Private Keys and Build Settings, just select "Export Developer Identity…" from the Tools menu in the Twixl Publisher OS X app. Twixl Publisher normally takes care of creating the "keystore" for you in the background. If you are migrating your app from another platform, such as e.g. Adobe DPS, you will need to import your existing keystore. Check our separate article for more details. Copy the application key from the app you created on the Twixl Distribution Platform platform and enter it here. Enable the option "Newsstand" if you want your app to be in Newsstand. This is no longer relevant as of iOS9 though. required for sending push notifications - also see this article about the Google Cloud Messaging ID. Entitlements URL style: defines how the urls for the Entitlements Server are constructed. For more information, see Entitlements Server URLs. Require on startup: if enabled, you will need to be entitled before you can access the content in the app. In other words, this allows you to create a "restricted access" app. Login Menu Title: if you want a button to appear in the sidebar menu of the App Store Kiosk that can trigger the entitlements signin form, you can enter the title for the button here, e.g. "Already a subscriber?". Logout Menu Title: if you want the menu title to change when the user is logged in, you can enter a different title here. For more info about Entitlements, refer to our separate article. Here you can change the images that will be used to style the storefront. You can drag and drop images in the sizes specified for the store background. You can choose to display an info page that is triggered by a menu item in the sidebar menu of the kiosk. You need to create an HTML document called "infoPage.html" and add that to the WebResources folder. The title of the menu item can be entered here. You can also include a banner at the top of the store. You need to create an HTML document called "infoCell.html" and add that to the WebResources folder. The infoCell height can be different for landscape/portrait and for iPads, Android tablets and phones. On phones, the kiosk only supports portrait orientation. For detailed information about these options, refer to this article.